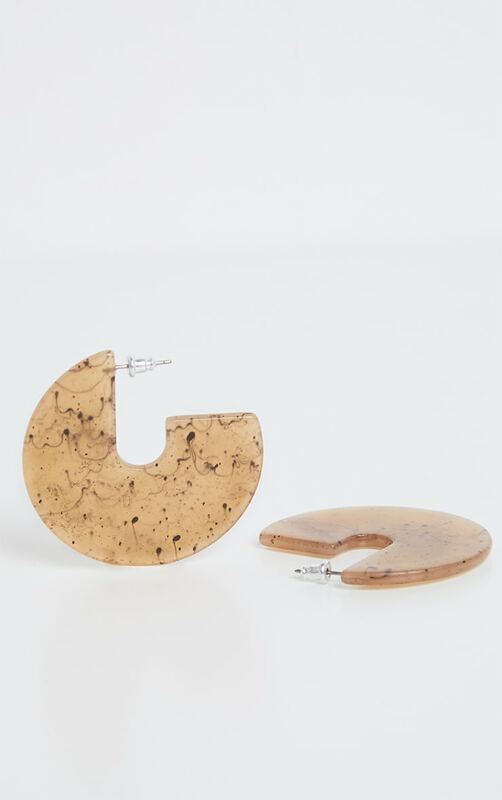 Make a statement this season with these chic earrings. Featuring a light brown speckled material with a 3/4 disc design, what's not to love? 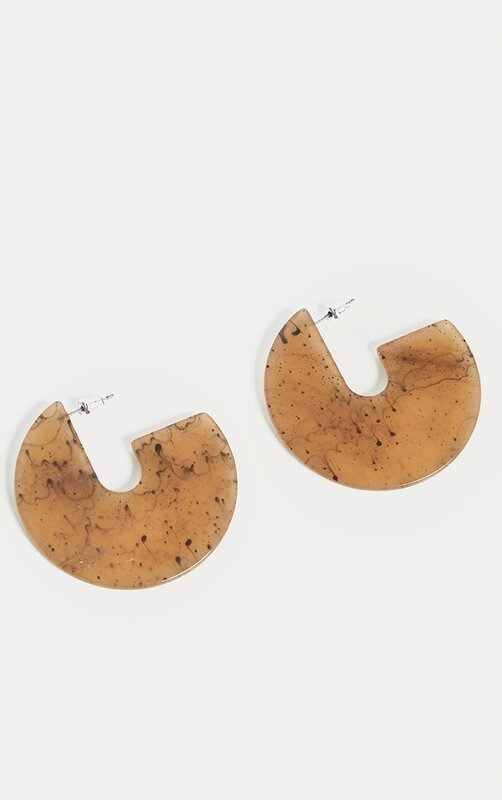 Style these earrings with your brunch date attire for the ultimate on-trend vibe.